Internet security has left me with many concerns, especially as I meet more and more people who have had their accounts hacked or vital information stolen. Despite all the security measures companies may take to keep bad people honest, the sad fact is there are plenty of people out there who break into these systems and make our lives miserable. The typical response of the industry is to heap on ever more complex security and firewalls. However, I believe that the best firewalls are the moral firewalls inside souls that recognize the distinctions between good and evil and lead us to act accordingly. When those moral walls go down, there really are no possible means to keep everything secure. My security concerns were only confirmed during a recent plane trip. As I made my way down the aisle to my seat in the aircraft, I saw a young, bearded, twenty-something man next to my seat. I noticed his bubbly temperament, which almost guaranteed an in-flight conversation. I also noted that he was incredibly adept at manipulating his iPhone. True to my expectation, we soon engaged in a conversation after takeoff. I introduced myself as a writer and he promptly identified himself as a hacker. A hacker? Yes, but, of course, he was a “good” hacker that works on the other side of the hacking equation. He is paid by companies to hack into their systems to verify their security measures. The hacker was an amiable fellow, but he was all nervousness as he constantly fidgeted with his devices. He spoke incredibly fast as it seemed his mind was working much faster than his ability to speak. It was as if he were all impulse. Over the course of our conversation, he explained his hacker’s creed to me — a philosophy of life apparently shared by many fellow hackers on both sides of the equation. 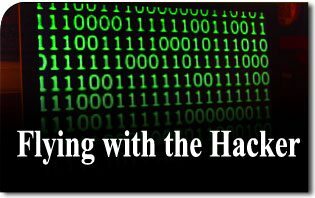 Hackers, he explained, question everything, doubt everything and are irreverent to all that is sacred. They trust no one and decide everything by their own standards. They live life intensely, as if that is all there is and hence do not acknowledge any religious considerations. They accept only those limits needed to survive in a frenzied world and are constantly pushing the envelope. Such a creed only facilitates the task of hacking, since it creates in the person an obsessive desire to break down barriers and challenge all structures. When I asked the hacker what kind of systems he hacked, he replied not without a little pride that he had entered all sorts of systems almost with impunity. He entered one banking system and removed $100,000 and reconciled the ledger without the bank noticing. He even hacked a railroad transport system and commandeered a freight train from his laptop. Hackers, he claimed, could bring the whole system down if they so wished. I then asked him why, if it could be done, the hackers did not take the system down. He replied that hackers fear severe legal penalties, especially in the post-9/11 world. He also claimed the best hackers (like him) are very well paid by the business establishment. However, I found these answers a bit unconvincing since they do not include terrorists, anarchists, and enemies who are constantly probing our systems and making our world a dangerous place. The better answer came when I asked why he, in particular, did not so bring the whole system down, since the hackers’ creed pretty much allows and even encourages such behavior. And then a moral firewall kicked in. Although he found it hard to define right and wrong, he said he felt it would be wrong to do something of this nature. Such moral firewalls, weak though they may be in the souls of postmodern men, are still our best and only defense against chaos. Just as no police force in the world can prevent a whole population intent upon stealing, so also no security system can stop a network of unscrupulous hackers determined to create cyber chaos. Moral restraint on the part of most people keeps society in order. Remnants of such restraint hold back even the hackers from bringing on Armageddon. I was struck how the hackers’ creed was consistent with the frenetic intemperance of our culture which likewise accepts no restraint and breaks down barriers. Not only our computer systems are at risk, but all modern-day systems — whether financial, infrastructural or educational — are vulnerable when moral restraint is gone. The more complex and interconnected our systems become, the greater the risks when they fail. When we hack down the moral firewalls that restrain us, we also take down the supporting pillars that prevent society’s collapse. That is why a return to order is only possible when the moral issues are debated. If everyone adopts the hackers’ creed, society will be like a commandeered train heading toward the cliff.